MyFormatConverter stands for the best image and sound quality, on any device! Edit your music, films and photos on any of your devices – smartphones, tablets, media players, games consoles, TVs and many more! Out put formats is confusing with no choice to convert a file to its original size and the conversion speed is so slow as to be unbelievable it has no access to NVIDIA or Intel processor. This Converter is a step back instead of a leap forward in technology . I’m passing on this and suggest u do the same! I bought this program a few weeks ago, and I uninstalled it without ever being able to use it. The installation and registration method is incredibly user-hostile, thoroughly confusing, probably dangerous on a technical level and completely dismissive of good practices. I never found how to jump through the successive hoops that are necessary, just to register the program and begin to have a look at the user interface. When I finally managed to get some help from support, it was so complex and so bizarre, that I did not attempt to follow it. I was supposed to download some utility by Microsoft, do some strange things to my computer, with no assurance that this would not, by itself, cause some damage. The program also has an unnerving tendency to ask for administrative rights all the time. Not in a normal way, not the way you clear an UAC alert when installing from a non-admin account. Everything needs to be done under admin, it seems, at least at that stage. And that’s only a format converter… I have never seen such a thing in my life. I install programs all the time. Free and paid-for. Fortunately, I got it in a deal with another program, Soft Maker Office, which is very good. So I threw away My Format Converter and took my loss. But it sure does not look good on Soft Maker, never mind this publisher. There are a lot of file format converters out there, each specialized in a certain type of conversions making it almost impossible for the users to choose the one they need. This creates the need of users to keep with them multiple tools just to convert files to their desired formats. However, MyFormatConverter Basic is a unique tool that enables you to process all your files, for all different devices no matter what the format is. After getting to know all its features and capabilities, calling it a Swiss army knife for all your multimedia files would not seem like a bad idea. The download size is small (~30MB) and the installation is simple and straightforward. The registration and activation process is however a bit frustrating, due to the delay in getting the email containing the activation code. The interface looks great and is intuitive, the conversion process is divided into five steps till completion. The first step is to select your desired task like audio conversion, video conversion, 2D to 3D conversion and more. The next step is to select the file you want to convert, followed by choosing your desired format from the ones provided. The next step involves choosing the desired output location to save the converted files, and the last step shows conversion in progress and lets you know when the process is done. This makes the overall process easy and simple to understand for all users. From JPG and BMP to AVI, DIVX, MKV, MOV or MP4 to WAV, MP3, AAC, WMA audio CD, concert DVD to dvr, dat, pvr and ts4 everything is supported by this tool. Different optimizations like channels, bit rate, sample rate, resolution, video bit rate, frame rate, and more of media files can enable the users to enjoy the media in the best quality possible. This tool does not only convert files from one format to another, but also optimize you media files to enhance there quality so you can enjoy them at there best possible quality. This tool allows conversion of your normal home made videos to 3D videos. The UI interface has an intuitive design, the whole process of conversion is a guided process. The GUI guides the users step by step on hoe to proceed with their desired task. This makes the tool suitable for use by all kinds of users, even novices without any difficulties. wide range of support makes this tool useful in almost all kind of situations where conversions are required. This eradicates the need of carrying multiple tools in your PC just to achieve simple conversions. According to the developer, over 400 included output profiles are preconfigured and do the work for you. 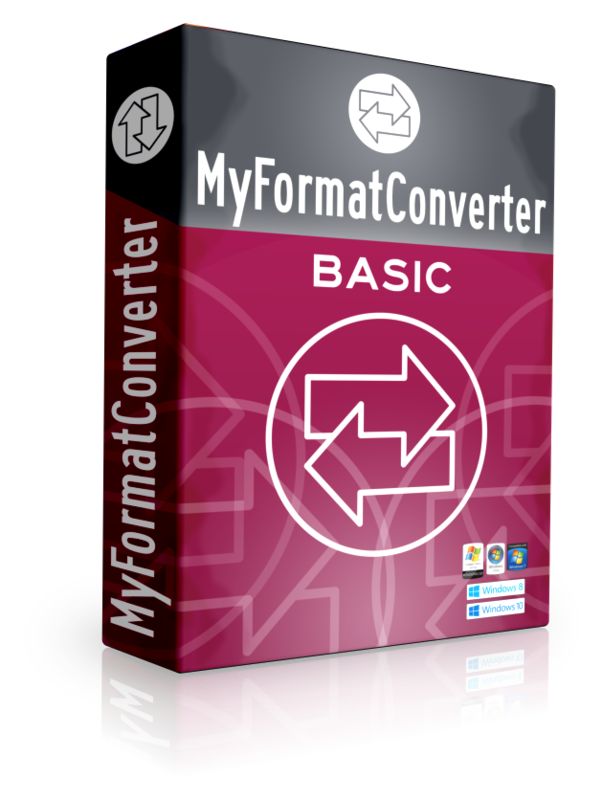 Most of the conversion tools I have used so far deal with conversions simply, MyFormatConverter takes a step ahead and tries to deal with optimizing your media files to along with converting. This allow users to enjoy their media content in the highest and the best possible quality according to the desired format. 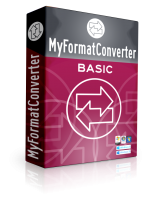 MyFormatConverter Basic is an efficient and fully featured media converter that deals with all type of conversions from video, audio to images. Along with conversions, it is able to optimize your media files to the best quality possible, giving it an edge over other competitors. Improvements in the activation and registration process would make this tool one of the best of its type. This tool is definitely worth trying. “MyFormatConverter Basic Use all of the software’s features across all output formats – comes without any optimizations, our 2D to 3D conversion and without DVR support”? It is typical supplier to neglect the customer and then just invade your email with a LOT of unwanted advertising! Does not come with what is offred here is crippled too the point is uesless. they re taling about the full version Qoute Waldemar below- “comes without any optimizations, our 2D to 3D conversion and without DVR support”?